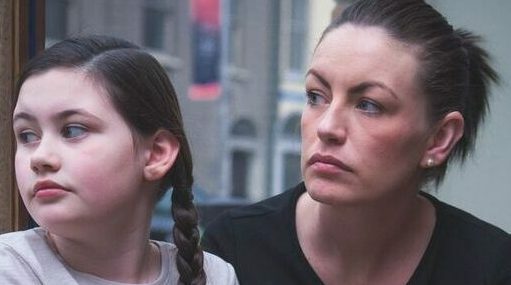 A MOTHER who has been homeless with her daughter for almost a year – is to address the European Parliament on the housing crisis in Ireland tomorrow. 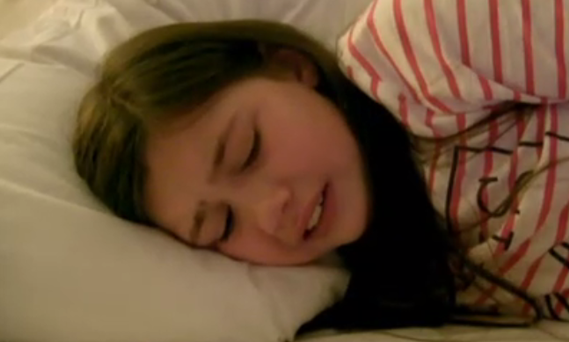 Erica Fleming, 30, has been living in a hotel with her nine-year-old daughter, Emily, since June last year. As the one-year anniversary approaches of living in emergency accommodation, Erica, is travelling to Brussels today to tell the European Commission tomorrow there is a “housing emergency” in Ireland. Figures show more than 2,000 children and over 1,000 families are now homeless – and Erica, as part of a delegation on homelessness – will tell her own personal story to highlight life for those without a home. 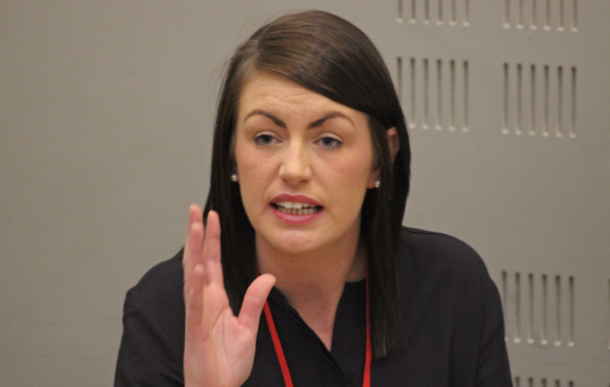 Erica said: “For some reason here in Ireland the enormity of this housing emergency hasn’t been acknowledged quickly enough – and not enough is being done to answer this crisis. “The Irish Government has been telling the EU that we’re doing phenomenally well and I know I or the other homeless families have not felt the benefit of any apparent recovery. “I’m sitting here thinking should I pinch myself that I’m going to the European Parliament and it still hasn’t sunk in that I have been asked to attend – but I have to go to deliver this message to Europe that we need help. Erica will speak to the commission – which has the power to make recommendations if Ireland is meeting its responsibility on providing housing to citizens. The mother, who works part-time to support her daughter, has achieved an incredible amount in recent months, given her homeless status. Last week she won a place on the Trinity Access Programme – an initiative for disadvantaged students aiming to get in to third level. She will follow in the footsteps of Senator Lynn Ruane, who also studied on this course before taking on a degree at Trinity College. Erica will attend the commission with Sinn Fein MEP Lynn Boylan and representatives from Iceland – a country which chose to give citizens a moratorium on mortgage payments post-crash, and representatives from Berlin, where rent certainty has been established. “When I think about it I’m just a normal mother from Dublin, that was forced to share my homeless story with the nation because the Irish Government refused to acknowledge that there was a national housing emergency,” Erica said. Ms Boylan brought up Ireland’s homeless crisis to the European Commission last Autumn when the official statistics of homeless children were 1,000 living in emergency accommodation. She quoted the number of homeless and the lack of social housing and then asked: “Has the Irish Government contacted the Commission regarding this situation to attain funds to build much-needed social housing…? Ms Boylan said yesterday: “This is the reason Erica will be speaking to the European Commission. It is very important if Europe has not been told about Ireland’s housing emergency by the Government, that they hear the reality on the ground in Ireland. Members of the Traveller community will also make up part of the delegation. Previously the Commission had criticised Ireland for the lack of inclusion of Travellers in Ireland. Ms Boylan and other members of the delegation including NGOs and housing groups, will meet with a variety of groups during the trip, to discuss possible funding towards assisting Ireland’s homeless problem. “We are aiming to make the point that housing is a human right,” Ms Boylan said. “It is important that Erica speaks to the Commission so they can hear what it is like for a mother to have experienced homelessness in Ireland. “The Irish Government is conforming with the EU’s financial rules and therefore the Commission needs to know the impact on the people of Ireland. “The only possible reason why the Irish Government hasn’t told the Commission about the housing emergency in Ireland, is because it wants Ireland to be seen as the best boys in class in Europe, that we have to keep the recovery going. Erica said: “I haven’t felt any of the benefits of this so called recovery and thousands of others haven’t either. Erica added that she wanted to see work being progressed towards renovating local authority homes across the country that are boarded up. “There are enough local authority homes that if they were opened up, would go a way to solving this homeless crisis – while there are also private homes across the country that are not in use. Figures were publicised last week that there were 250,000 vacant homes across Ireland but it later emerged these figures were old and new statistics would not be known until after the latest Census is released. In September it was revealed that 2,600 council homes were vacant across the state. While many local authorities fell short of delivering enough social housing last year. While many local authorities will miss their financial targets on social housing this year – with a large portion of the 452m euro funding ring-fenced for this having not been spent. A problem between the Department of Environment and local authorities meant there had been a delay in the allocation of the capital budget.